If you’re looking for a Mazda oil change in the East Dundee area, be sure to visit Biggers Mazda in Elgin. No matter what kind of car you drive, our service team can efficiently provide you with the right kind of oil for your engine at a low price. When you start your car, the small-moving parts of your engine domino into motion. Your engine needs oil for lubricating those small moving parts. If you don’t have the right kind or requisite amount of oil in your engine, those parts will create friction, generating massive amounts of heat in your block. If your engine overheats from this friction, it is likely that it will experience catastrophic failure, which not only makes for an incredibly expensive repair, but is also quite dangerous, should your engine go out on the road. It is also important that you don’t use dirty oil, which is often much darker than the light brown hue of a healthy lubricant. 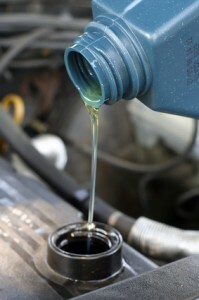 Dirty oil will gunk up those small-moving parts, again creating intense friction. We recommend you change your oil once every 3 months or from every 3,000 to 5,000 miles. Why Choose Biggers Mazda for Your Oil Change? When you get a Mazda oil change at Biggers Mazda by what are some of the most highly-trained auto techs around East Dundee, you won’t just be getting an oil change. When we replace your vehicle’s oil, fluids, and filter, we’ll also have the opportunity to take a look at the rest of your vehicle’s components. If something’s wrong, there’s a chance that we’ll be able to catch it before it turns into a bigger (more expensive) problem. When you choose Biggers Mazda, think of Mazda oil changes as informal check-ups for your car, truck, or SUV. Head west on IL-19 W./E. Chicago St. toward Campus Dr. Turn right onto N. Liberty St. Slight right to stay on N. Liberty St.
Continue onto IL-25 N./Dundee Ave. Turn left onto Higgins Rd./E. Main St.
We’ll be on your left!